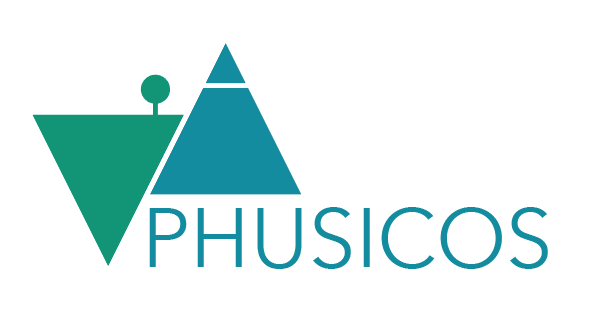 PHUSICOS has 15 partners for this 4-year program, which started in May 2018. Below you can fin a brief description of each of these partners, their role in PHUSICOS and their primary contact person. NGI has been a leading international centre for research and consulting within geosciences for over 60 years. NGI is a private foundation with office and laboratory in Oslo, branch office in Trondheim and daughter companies in Houston, Texas, and Perth, Australia. NGI has 250 employees and hosts a number of PhD candidates, postdocs and research scientists every year. NGI holds an international key position for the warning, detection, and analysis of natural hazards as well as for the assessment, prevention and mitigation of geohazards such as debris flows and landslides, snow avalanche, tsunamis, and flood control. One of the strong sides of NGI is the combination of theory, model testing, monitoring in real design projects. NGI offers a competitive environment in which hosted researchers have the opportunity to exchange with practicing engineers working on challenging design projects in which they implement state-of-the-art methodologies and for which they often need to innovate in order to respond to their particular needs. NGI is the PHUSICOS project coordinator and has overall responsibility of the PHUSICOS project. As such NGI will lead all tasks within WP1 (Coordination and project management) as well as leading WP2 (Case study sites) to coordinate the selection of NBSs to be implemented as well as their implementation. 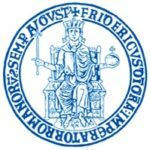 The University of Naples Federico II (UNINA) is one of the oldest in the world established by Federico II on July 5, 1224. The Department of Civil, Architectural and Environmental Engineering (DICEA), established in January 2013, inherits the teaching and research experience of all professors and researchers involved in territorial sciences and technologies. DICEA merges advanced theoretical and experimental research with great cultural tradition and teaching. In particular, three departments have converged into it: the Department of Hydraulic, Geotechnical and Environmental Engineering, the Department of Transportation Engineering, the Department of Urban and Regional Planning. Currently DICEA has 65 units of academic staff and hosts every year a number of PhD candidates, postdocs and research scientists. In PHUSICOS, UNINA is the leading institution of WP4 (Technical innovation), a large work package devoted to the development of a comprehensive framework. To this end, UNINA will collaborate closely with WP7 (product innovation) and providing input to the web-based tool. UNINA will also support implementation of NBSs at the Serchio River basin demonstrator site (WP2). The Chair for Strategic Landscape Planning and Management of the Technical University of Munich is part of the Department of Ecology and Ecosystem Sciences at the Center of Life Sciences in Weihenstephan. The chair was established in 2006 by the Allianz Umweltstiftung to address questions such as development and implementation of visions and strategies for the sustainable development of cultural landscapes – both in urban and rural landscapes to increase their capacity to cope with the big challenges of the 21st century in research, consultancy, and teaching. Methods applied stretch from field sampling and mapping to modeling, social and ecological approaches, assessment of planning tools and regulation/policies at several levels, landscape management, landscape planning as well as communication and stakeholder participation. TUM is the leading institution of WP3 and will assist demonstrator sites and concept cases in stabling the Living Labs methodology at their respective sites. TUM is also mainly responsible for coordinating and overseeing activities at the Isar watershed concept case (WP2). This includes initiating and leading the Living Labs process and involvement in the process and product innovation action WP4 and WP5. BRGM is the French Geological Survey, dedicated to research on earth and environmental sciences. The Bureau is responsible for the sustainable management of earth resources. In addition to contributing to the advancement of basic knowledge in earth sciences, research activities aim to provide support for public policies and decision making, and also to contribute to the development of innovative technologies featuring research in public / private partnership. BRGM implements research programs and decision-support tools designed to anticipate and prevent surface and subsurface risks. In particular BRGM conducts studies dedicated to the analysis of natural risks (earthquake, eruptions, tsunamis, marine submersion, cavity collapse, landslide and erosion, clay shrinking and swelling and coastline retreat) as well as to the impacts of climate change on these risks, and to natural disaster prevention and preparedness. In PHUSICOS, BRGM is the leading institution of WP7 (Product innovation) and will also lead Task 4.3, Co-develop monitoring systems for NBSs. BRGM is the primary contact partner for the Pyrenees demonstrator site (WP2) and will support CTP in their implementation of NBSs and conducting the Living Labs methodology (WP3) and involvement in the process and product innovation actions WP4, WP5, WP6 and WP7. Located in San Giovanni Valdarno (Arezzo), the University of Siena’s Centre for GeoTechnologies (CGT) is certified ISO9001:2008 for applied geological research and high professional training. Its mission aims to increase and strengthen the relationships between the scientific applied research and the enterprise needs. The mission is to promote the application of Earth and Environmental Science researches, developing a continuous knowledge exchange and cooperation between universities, industries and scientific and professional organisations. Through the development and application of the geotechnologies the CGT at UNISI aims is to meet the ever growing demand for new researches and education directed toward an intelligent territory planning and management and to find new solutions for land-related issues and environmental problems. UNISI is the primary contact partner for the Serchio River Basin demonstrator site (WP2) and will support ADBS in their implementation of NBSs and conducting the Living Labs methodology (WP3) and involvement in the process and product innovation actions WP4, WP5, WP6 and WP7. R & D is a private company involved in an operational way in quantitative risk assessment, taking into account risks in land use planning and in adapting to climate change. With an important research and development activity, R & D has developed innovative territorial analysis approaches involving local decision-makers and populations. With an innovative company status, R & D has developed many tools for structuring knowledge. 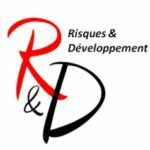 Risques & Développement will support support implementation of NBSs at the Pyrenees demonstrator site (WP2), as well as support WP4 (Technical innovation) and WP7 (Product innovation). The International Institution for Applied Systems Analysis (IIASA) is an international scientific institute that conducts inter-disciplinary research into the critical issues of global environmental, economic, technological, and social change that we face in the twenty-first century. Established in 1972, IIASA’s findings have provided valuable options to policy makers to shape the future of our changing world. IIASA is independent, not-for-profit and funded by scientific institutions from 24 countries in Africa, the Americas, Asia, and Europe. IIASA’s mission is to provide science-based insights into critical policy issues. IIASA evaluates its quality around scientific excellence, policy relevant research and capacity building. IIASA’s Risk and Resilience (IIASA-RISK) Program examines environmental and socio-economic interactions and risks across multiple scales, providing the analytical foundation for improved management and governance of natural disasters, climate change, and ecological transitions. IIASA’s specialty is applying advanced systems approaches for assessing and analysing risks and uncertainties to improve policy outcomes on global and regional issues, such as extreme events, economic development and environmental degradation. In PHUSICOS, IIASA is the leading institution of WP5 (Governance innovation); it also contributes to Task 6.3 by developing a social-ecological simulation on NBS. IIASA will also contribute to WP3 in designing stakeholder participatory processes and support the case study sites with policy expertise (WP2). The University of Vienna was founded in 1365. It is the oldest university in the German-speaking world and one of the largest in Central Europe. It is associated with 15 Nobel prize winners. Currently, about 96,000 students are enrolled at one of the 19 faculties in various fields of science. With 9,500 employees, over 70% (6,600) of which are academics, the University of Vienna is the largest teaching and research institution in Austria. To date, the University of Vienna has been involved in over 80 Horizon 2020 projects of which are 16 ERC projects, 11 MSCA-ITNs and 25 MSCA-IFs. The Research Services and Career Development Department and other institutional support services are thus well accustomed to handling European Commission project needs. EU and Austrian national funds supply more than €76 million of funding to projects at the university every year. In PHUSICOS, UNIVIE is responsible for coordinating and overseeing the implementation of NBSs at the Kaunertal concept case (WP2). This includes initiating and leading the Living Labs process (WP3) and supporting innovation actions WP4 and WP7. Oppland County Authority is one of 19 counties in Norway. The county’s overarching goal is societal development. Oppland consists of 26 municipalities and 189 500 inhabitants. The County has the main responsibility for regional development, which encompasses spatial and social planning, public health, tourism, learning and competence, culture, resource management, regional transport and communication, business development, environment and climate change. A cross-cutting theme for all of these tasks are international cooperation as a tool for innovation and development and the county has an extensive international network, as well as good experience with international cooperation projects. Oppland County Authority has a central role as an End-User partner in the PHUSICOS project. They are mainly responsible for coordinating and overseeing all activities at the Gudbrandsdalen demonstrator site (WP2). This includes initiating and leading the Living Labs with the guidance of TUM (WP3) and assistance from NGI (primary contact partner). Oppland County Authority will manage the subcontracting funds for the implementation of NBSs at the demonstrator site and involvement in the process and product innovation action WP4, WP5, WP6 and WP7. Furthermore, Oppland County Authority is WP leader for WP 6 – Learning Arena Innovation and will coordinate activities related to knowledge exchange and training programmes for key stakeholder groups. The Working Community of the Pyrenees (CTP) is a Public Consortium for cross brother cooperation created in 1983 and formed by the 7 territories within the Pyrenees mountain chain of Spain, France and Andorra. The CTP has launched in 2010 the Pyrenees Climate Change Observatory (OPCC), with the aim of studying and better understand treats and problems of climate changes in the Pyrenees, in order to reduce the vulnerability of natural and human systems to the impacts of such changes and support territories in the definition of adaptation strategies through the transfer of knowledge in a cross brother participatory framework. First OPCC’s action plan (2011-2014) was developed and implemented by the seven CTP members and eleven scientific partners, coming from both sides of the border, in the framework of the Operational Program for Territorial Cooperation Spain-France-Andorra 2007-2013 – POCTEFA. The ongoing 2016-2019 action plan includes, besides the seven CTP members, a stronger scientific partnership with more than 70 scientific organizations leading five scientific thematic projects. The OPCC has been a leading cross brother initiative concerning climate change impacts and vulnerabilities assessments, climate change information capitalization and spread, decision makers and other stakeholders’ engagement concerning adaptation initiatives, guidelines for mainstreaming climate change considerations on the political agenda and specific cartographic information development. The major working axes of the OPCC are climate variability (trends and projections), water resources, biodiversity (flora and fauna), forest, natural risks, sensitive mountain ecosystems, energy sector, tourism and human health and adaptation, transversally. The Working Community of the Pyrenees (CTP) has a central role as an End-User partner in the PHUSICOS project. They are mainly responsible for coordinating and overseeing all activities at the Pyrenees demonstrator site (WP2). This includes initiating and leading the Living Labs with the guidance of TUM (WP3) and assistance from BRGM (primary contact partner) and involvement in the process and product innovation action WP4, WP5, WP6 and WP7. The Hydrographic District of the North Apennines has been identified by Legislative Decree 152/2006, in accordance with the guidelines of Directive 2000/60/EC. The reference territory of the Hydrographic District of the Northern Apennines includes the Ligurian basins, the Basins of Magra river, Arno river, Serchio river and all the Tuscan basins from Carrione river and Alghero river. Compared to the previous perimeter of the Hydrographic District, also the Marche basins pass to the Hydrographic District of the Central Apennines while the Romagna basins pass to the Padano District. The Serchio River Pilot Authority (ADBS), located in the Northern Apennines Hydrographic District, was established in implementation of art. 30 of Law 183/89 “Rules for organizational and functional restructuring of soil protection”, which included the identification of a regional basin where, due to the particular conditions of hydrogeological disaster, seismic, water pollution, proceed To the preparation of the Basin Plan provided by the above-mentioned law (183/89), experimenting with the first formulations of the technical regulations, methods and criteria set out by the law for the formation of the Plan and the arrangements for coordination with the other Plans Sectors dealing with soil protection and water protection. Currently, the Northern Apennine District Authority, Serchio Basin, deals with the drafting and application of Water Management Plans (Directive 2000/60/CE) and the drafting and management of the Water Management Plan (Directive 2007/60/CE ). Management plans therefore cover all aspects of flood risk management, namely prevention, protection and preparation. It also includes flood forecasting and alerting systems, in addition to event management. The Serchio River Basin Authority (ADBS) has a central role as an End-User partner in the PHUSICOS project. They are mainly responsible for coordinating and overseeing all activities at the Serchio River Basin demonstrator site (WP2). This includes initiating and leading the Living Labs with the guidance of TUM (WP3) and assistance from UNISI (CGT) (primary contact partner) and involvement in the process and product innovation action WP4, WP5, WP6 and WP7. CREAF is a public research and innovation center in terrestrial ecology, territorial analysis and environmental impact, which strives for excellence in knowledge generation, methodological development, transfer, training and dissemination. The center aims to contribute to improving the conservation and management of our natural environment and territory on the local, regional and global scales by acting as a bridge between academia, public administrations and society and by action within its spheres of action. This is achieved through: Basic and applied research. CREAF conducts first-class, innovative basic and applied research and a center of excellence at both the national and international levels. In PHUSICOS, CREAF leads Task 4.3 and monitoring of ecosystem services. Additionally, CREAF is a key contributor WP4 (Technical innovation) and supporting the implementation of NBSs at the Pyrenees demonstrator site (WP2). CREAF also supports the activities of WP3 and WP6. The University of Salzburg (PLUS) was founded by Prince Archbishop Paris Lodron, the namesake of the University, in 1622. Since its re-establishment in 1962, the University of Salzburg has developed into a modern, vibrant institution whose faculties meet the highest standards of teaching and research. Today it consists of four faculties, with approximately 18,000 students and 2,800 employees. The University is a centre for innovative research and is firmly integrated into the cultural and economic life of Salzburg, serving as a meeting place for teaching staff, students and academics, as well as the general public. With its national and international networking, it is a modern knowledge hub in the heart of Europe. In PHUSICOS, PLUS is responsible for supporting the implementation of NBSs at the Kaunertal concept case (WP2). This includes initiating and leading the Living Labs process (WP3) and supporting innovation actions WP4 and WP7. Agence Ter is a landscape architecture company based in Paris (France) with offices in Karlsruhe (Germany), Barcelona (Spain), Shanghai (China) and Los Angeles (USA). Agence Ter offers solutions to complex urban and territorial planning projects, approaching them from the landscape perspective. This means conceptualising the essence of a project whilst using physical, geographical or historical and memory-based elements as a foundation. This process allows a better shared understanding of the challenges, fosters dialogue between the stakeholders and facilitates interactive exchanges with the residents. Agence Ter aims to understand the territory as a whole to imagine the landscapes of tomorrow. Agence Ter is currently developing its approach to large metropolitan territories through planning studies placing the geography and its landscapes at the centre of the city-territory problematic, thus offering a tool for change, within the frame of a concerted approach, at a very early stage of the project with the involvement of all stakeholders. Agence Ter is also developing large-scale territories, respectful of the different cultural contexts that are present at in these territories. By adapting to these most wide ranging scales and grasping cultural specificities, Agence Ter is able to support the development of the territory, whilst maintaining a common theme. The main tasks of Agence Ter will be to assist the PHUSICOS demonstrator sites (WP2) in developing potential nature-based solutions and using our integrated approach with geography. In this approach, the landscape is the starting point but without imposing limits: domesticating infrastructures, accompanying water movements, exploring very large territories, discovering new territories that bring new cultures and new approaches. Founded in 1559 by John Calvin, the University of Geneva (UniGE) is Switzerland’s second largest university with 9 faculties, 16,000 students of more than 140 different nationalities and close to 600 professors. Ranked 60th in the 2017 Academic Ranking of World Universities, UniGE enjoys a strong international reputation, both for the quality of its research and the excellence of its education. The Institute / Hub for Environmental Governance and Territorial Development (GEDT) produces cutting edge research and high quality education and training in three main domains: environmental governance, urban and regional development, and sustainable development. Institutionally, GEDT is located at the interface between the Geneva School of Social Sciences (G3S) and the Institute for Environmental Sciences (ISE). Core GEDT members have a long history of research on mountain regions around the world, with a special focus on transboundary governance and institutionalization; climate change adaptation, particularly in the water sector; and the role of science, scientists and scientific cooperation. In PHUSICOS, UNIGE leads Task 5.3 and coordinating all activities of the Policy Business Forum. Additionally, UNIGE is a key contributor to WP5 (Governance innovation) and also supports the activities of WP3 and WP6.